The name is romantic, the logo vintage, the products are super and free from the top 14 allergens. 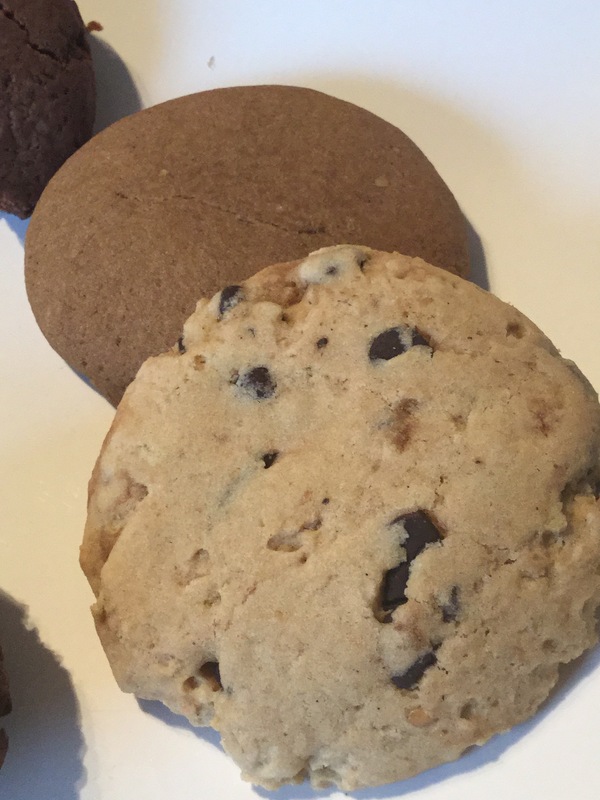 Say hello to Angels and Cookies a new company on the free from scene. Their product is raw cookie doughs in 3 flavours Chocolate Fudge, Chocolate Chip and Ginger & Spice. All come ready to bake and each pot can make roughly 6 large or 12 small cookies ( £7.99 a pot). 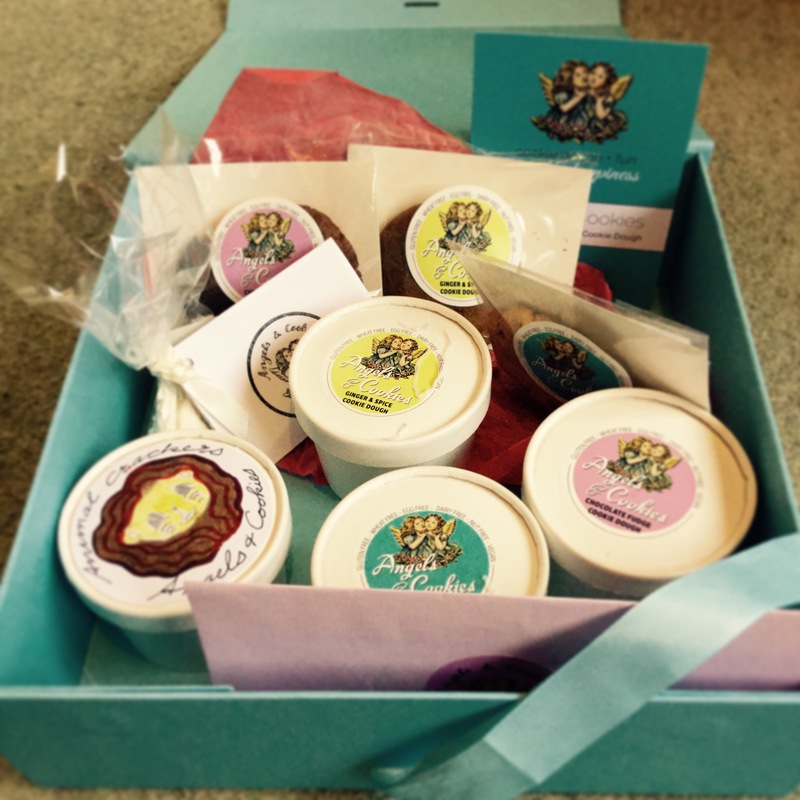 The lovely people from Angels and Cookies sent me some goodies to try and get creative with- so here are my thoughts. They are extremely easy to bake, preheat your oven to 180c. I took the dough out of the fridge 15 minutes before using it. You then divide it into however many cookies you want. Roll into a ball and then flatten. You can also roll the dough between baking parchment to get a thinner biscuit, which is ideal for then cutting with a cookie cutter. Cook for 12-15 minutes. Leave to cool on a cooling rack before tucking in. So how do they taste? In short delicious. My particular favourite is the ginger, if you go for large and soft baked it’s wonderful with a cup of coffee. 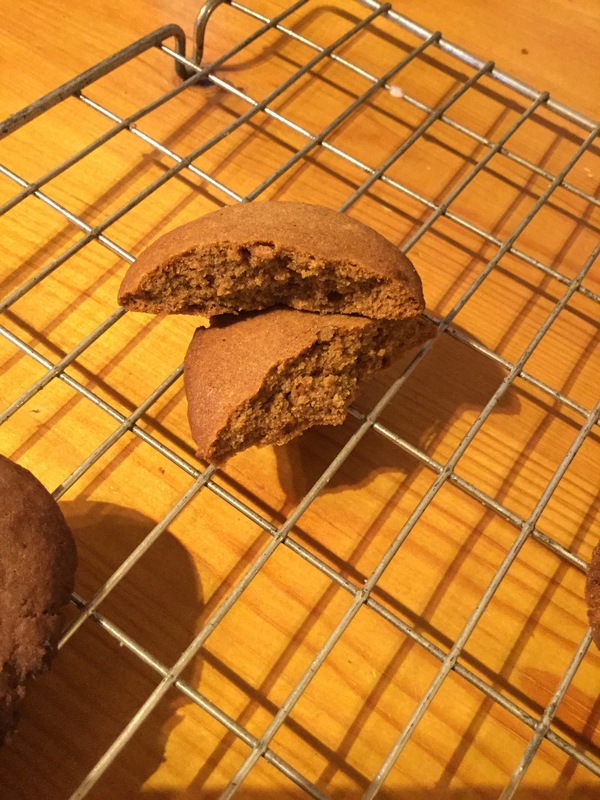 If you go for a thinner, crispy biscuit you then have a perfect ginger snap ( which dunked really well). The smell whilst cooking was amazing, just perfect for the Christmas season. Mini me favoured the chocolate fudge, it’s satisfying for a chocolate hit, but not overly sweet or full of sugar like shop bought ones can be. I made sandwhich cookies with a chocolate buttercream filling, and they were exceptional ( my take on an Oreo if you will). Lastly Choc chip, well what’s not to like? They taste better than supermarket cookies I’ve tried in the past- no artificial aftertaste in your mouth. The chocolate is dark, the dough is plain, mixed together they are a match made in heaven. I’ve not yet tried, but I can see this working well in a home made ice cream. It’s up there on my to try list- I cannot remember the last time I had cookie dough ice cream. 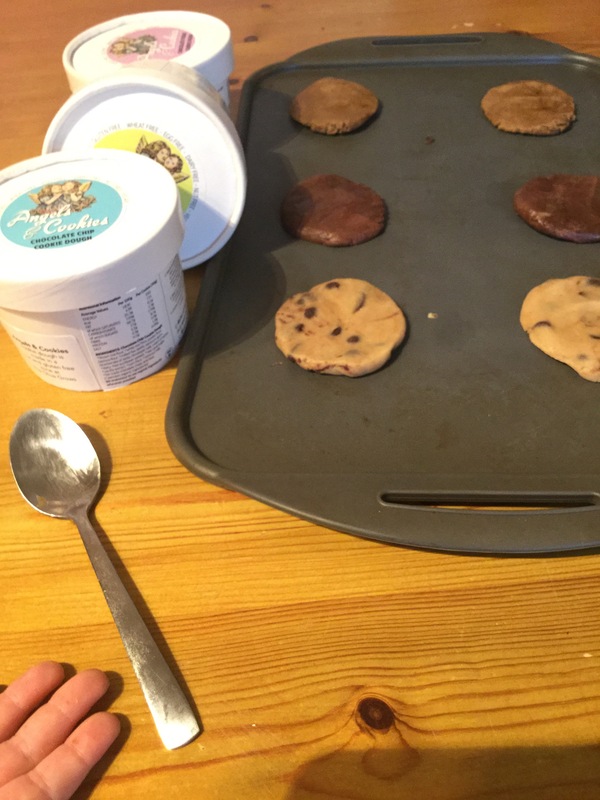 I throughly recommend this cookie dough, as does the biggest critic of them all – my 3 year old. I have to say she also enjoyed the baking element of the process to, and I can feel better knowing that most of the ingredients are ( where possible) organic and free of nasties. Have you tried this cookie dough yet? If so let me know about your creations in the comments below.